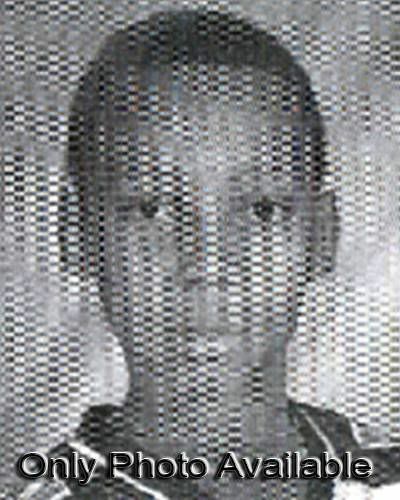 Derrell was last seen on June 27, 2007. He may be in the local area. Photo montage from GuerrillaFunk.com's Spotlight Skips Cases of Missing Minorities (also linked below). As the first post on this blog mentioned, the idea of creating a blog focused on missing minorities came to fruition because the media just doesn't give these stories much, if any, press. It came from a thread where we were discussing Stepha Henry. There was a lot of complaining. I believe that complaning only further perpetuates the status quo. It's when you couple the complaint with action that you inspire change. To that end, I asked everyone to email their friends, put it up on their MySpace or Facebook and to blog Stepha's story if they had a blog. From that, the idea for this blog was born. Due to work and school commitments I've only now gotten the time to turn my attention to this new blog. To be honest, I hope the need for it doesn't last very long. However, I'll start off by posting a blog from MSNBC where Dateline's Josh Mankiewicz did a piece called "What's Missing?" and wrote a blog named Missing Minorities in Missing Person Stories. In both, he asked the tough questions about why the stories about the missing persons like the ones we'll post here go unnoticed in the media. This segment was aired back on August 7, 2005 however I found a transcript of it on Cybersleuths Crime Discussion in a thread aptly named White world of missing women. Here is the transcript. I also advise clicking on Mankiewicz's blog on this to read the comments because they're interesting. Dateline, Friday, August 7th: What's Missing? ; National news tends to focus on missing persons stories of white people. Announcer: From our studios in New York, here is Ann Curry. AC: Good evening. Parents do all they can to protect their children, but sometimes a parent's love just isn't enough. For more than two months now we've watched as Natalee Holloway's mother has conducted a desperate search for her missing 18year-old daughter, the tragedy covered extensively by the media. But our next story is not about Natalee Holloway. We want to tell you about another family's agonizing search for a young woman who is also missing. But unless you live near her home town, you've probably never heard of her, and the question Josh Mankiewicz asks tonight is, why not? Wolf Blitzer...who hasn't been scene since last Monday. Harry Smith ...and was reported missing. Lester Holt: (From news broadcast) ...student missing for five months. Josh Mankiwitz: The networks and the cable news channels can't seem to get enough of it. Tape ...police are now into their second week of searching. JM: It's the story of Laci, of Chandra, of Lori, of Jennifer, of Elizabeth, of Natalee. John Seigenthaler: Authorities are hoping for a break in the case. JM: Their disappearances have brought heartaches and anguish. But if all you did was watch the TV news in this country, you might that think these are the only people who are missing, or that their fate in particular is incredibly important since we tell the story of their disappearances not once, but again and again. JM: But in a country of almost 300 million, these Americans are missing too. The difference is that we don't cover their stories. Meet Tamika Huston: bright, beautiful, with an angel's voice. Get a good look at her, because you won't be seeing her again and again on national television. She's singing at Rebecca Howard's wedding. Tamika is Rebecca's niece. Rebecca Howard: She is an amazing young woman. RH: Very bubbly, very bright. She has an amazing singing voice. JM: Tamika's dream of becoming a singer led her to try out for the TV show "American Idol." She didn't make the cut,but the experience seemed to inspire Tamika to set her sights beyond the life she was living in Spartanburg, South Carolina. JM: And then one day she vanishes. JM: It was late May of last year. At 24, Tamika had quit her waitressing job and was going out on interviews. Since she was living alone, it took a couple of weeks for her family to notice that they hadn't heard from her in a while. RH: I spent my day Saturday, Sunday trying to find her. By Monday morning I called police in Spartanburg and said that something is terribly wrong. JM: Police went to Tamika's home. JM: And there's no sign of a struggle. JM: And yet what police did fine was reason for you to worry even more. RH: Oh, absolutely. Her dog, Macy, who Tamika treated like her child, the dog was there, had given birth to a litter of puppies that had obviously been left alone for some time in distress. So at that point, I knew without question that something had gone horribly wrong. JM: And the news got worse. Inside Tamika's home police found her driver's license, her cell phone, and some uncashed paychecks. It didn't appear that Tamika had just gone on vacation. Six days later officer's found Tamika's car on the other side of town. Inside the car they found a set of keys that led them to these apartments, a place with seemingly no connection to Tamika Huston. JM: So you took Tamika's picture and walked around that apartment complex and asked if anybody had seen her. JM: And no one had. JM: Spartanburg police Lieutenant Steve Lamb led the investigation. JM: It doesn't sound as if Tamka's family had any difficulty at all persuading you to take this seriously. Lt. Lamb: I mean, we looked at the family. They were extremely concerned. JM: Police were at work, and so was Tamika's aunt Rebecca, a public relations executive in Miami. RH: I draft press release, I start making phone calls. JM) And here in Spartanburg Rebecca's PR skills paid off. News clip: Twenty-four-year-old Tamika Huston disappeared around May 21st. RH: The local media picked up on Tamika's story pretty quickly. JM: But Rebecca knew she had to spread the word outside Spartanburg. RH: Tamika could be anywhere from California to New York. RH: So I wanted to cast as wide a net as I could possibly cast. JM: So you start calling the broadcast networks. JM: You mean people didn't even tell you that? JM: This is true at NBC? JM: It was crushing news for Rebecca, who was desperate to get out any information about Tamika. Her family had done everything they could think of, from prayer vigils and a $50,000 reward, to Web sites devoted to news about Tamika. And this was a family with some connection. An uncle works for US Senator Patrick Leahy, and another uncle, Rebecca's husband, is a celebrity: Former NFL star Desmond Howard, a Heisman Trophy winner, and later Super Bowl MVP. But those connections didn't help enough, and this family found the disinterest in Tamika's story frustrating, because to them, Tamika's story was so similar to those of other women, like Chandra Levy and Lori Hacking. JM: What made you think that this particular story about Tamika Huston disappearing would be the kind of thing that network news would be interested in? (Voiceover) ...and her family was getting round-the-clock coverage on that case. RH: And I had just spent the preceding three weeks, trying to get the attention of those same reporters, of those same programs, of those same networks to pay attention to what I was saying about Tamika. I was flabbergasted. JM: But Rebecca wouldn't take no for an answer. Seeing the steady drum beat of the Laci Peterson coverage, she says she called the "Today" show directly and got nowhere. The same was true at "Good Morning America," at "The Early Show" on CBS, at "20/20," and right here. RH: I called DA, I never got past. I was directed to please send an e-mail, which I did. JM: And nobody ever, and nobody ever messaged you back? JM: No one's claiming that every missing person story should get a place on the news. There are almost 50,000 people in the FBI's database of missing persons cases. But consider this: most of those missing adults are men. Almost thirty percent of those abducted or kidnapped are black. So why is it then that we in the news media seem to focus so much on cases that involve victims who are young, attractive, female and white? RH: Tamika's young, she's attractive, middle class. The only thing that she isn't is white. You know, I don't know what else it could be. JM: Before you dismiss that criticism, look at the numbers gathered by media analyst Andrew Tyndall who regularly monitors network news. In the year that Tamika's relatives were begging for air time, the morning news broadcast on NBC, ABC, and CBS aired a combined 941 minutes on the Laci Peterson story; 135 minutes on Lori Hacking, killed by her husband in Salt Lake City; and 98 minutes of coverage on Audrey Seiler, a University of Wisconsin student who faked her own abduction. Tape (From news broadcast) But first, a developing story. JM There was even more coverage on cable, and here at Dateline we did almost six hours just on the Laci Peterson story. For this story we contacted the presidents of all three network news divisions, as well as the heads of the cable news channels. Only one of them agreed to sit down for an interview. JM: Why is there such a huge disparity in stories about white victims as opposed to the other kinds. Neil Shapiro, Network President: Well, let me say, I don't like hearing that that's true. JM: Neil Shapiro is president of NBC news. NS: You know, our mission is to try to cover America, and that means all facets of America. NS: And when our coverage doesn't reflect that, it distresses me. That said, I think it's important that people in the industry talk about it. I think the fact that I'm talking about it, I think the fact that Dateline NBC is devoting air time to it means we take it seriously. And we have to do better. JM: Critics describe these stories as `damsels in distress.' Neil Shapiro says the wall to wall coverage often starts not with the networks, but with cable, which has 24 hours to fill each day and can follow a developing story in an effort to hold an audience. But that doesn't explain all those network hours devoted to stories like Laci Peterson. JM: I can only conclude that the reason we do those kinds of stories again and again and again is because they work with the audience, because they get a rating. NS: I think we do stories that people care about, and there's no doubt that when a story get, has, reaches such talkability that everybody is talking about it, that it's on talk radio, that it's on cable, that if we as a network news division feel like we can weigh in, we can advance the story, we should. I think we shouldn't be above the news. JM: He says there are no rules, written or unwritten, about who should or should not be covered. NS: I think when the Peterson story first started, I remember hearing it on the radio. NS: And I had no idea who the Petersons were or what they looked like. So I think certainly when we start to chase stories, I'm not sure we even know. JM: But is the fact that the victim in that case turned out to be an attractive white woman, is that why we covered it so many times and devoted so much air time to it? NS: I hope not, and I don't think so. JM: To what extent is the race of the people involved a factor in making editorial decisions? NS: Let me make this clear: Race is not a factor in who we cover or how we cover it. JM: Not everyone is convinced. Deborah Mathis: If you're covering the nation, cover the entire nation. If you're covering the American people, cover all the people. JM: Deborah Mathis writes a newspaper column, and also teaches journalism at Northwestern University. For 15 years she saw the TV news business from the inside as an anchor, reporter, producer and newsroom manager. Deborah Mathis: I am not accusing news executives of racism, not per se. I am, I am accusing them of, of ignorance. No, you don't cover every white woman, but you don't cover any black women. Now, just please tell me how this is right? You can't do it. JM: Months after Tamika vanished, Rebecca Howard finally made some headway. Tamika's story got a 15 second mention on the FOX News Channel, "America's Most Wanted" aired a show about the case, and "Headline News" did the story. Meanwhile, police have made progress. Through a key found in Tamika's car they discovered what might be a crime scene in a nearby apartment. Blood evidence on a carpet matched Tamika's DNA. And police now have a suspect, but no proof if Tamika is dead or alive. After we interviewed Rebecca Howard, USA Today picked up the story, and recently news programs have been discussing not the story of Tamika, but why the story of her disappearance received so little attention. JM: And the broadcast networks and cable news channels did give more coverage than usual to the story of three missing Hispanic boys in Camden, New Jersey. And in the midst of the Natalee Holloway coverage some national attention was given to the story of Latoyia Figueroa, a 24 year old pregnant mother of one who's ben missing from Philadelphia since July 18th. Despite the best efforts of her family, Tamika Huston is still missing from her home and lives of her relatives. She's missing from those hours of network and cable news coverage as well, but she is finally in the headlines, ironically as a symbol of how missing Americans who look like her are almost never on the nation's electronic front page. Unfortunately, Tamika's story has a bad ending because her remains were found. Her killer was apprehended due to a tip after America's Most Wanted aired a segment on her disappearance. The killer was sentenced and put on trial, and now he's serving a life sentence without parole. Amber Wright has been found! DETROIT -- A 17-year-old Martin Luther King Jr. High School student reported missing from her near west-side home early Saturday told police Wednesday she had been "hanging out with friends." Amber Wright, the subject of a police search, turned up at her grandmother's home that afternoon, alone and unharmed, said James Tate, Detroit police spokesman. Wright told police she had been out late Friday night and was afraid to return home. Tate said police will not pursue the matter further. "Our concern was for her safety and once we found out she had returned home, we ended our involvement," Tate said. "This is now a matter between her and her parents." Wright's mother, Chere Harris, said earlier her daughter had never left home before. Harris did not return phone calls on Wednesday. Wright was elected president of King High School's senior class for the coming year. Hopefully she'll take this as a learning experience and not do something like this again. DETROIT -- Police are seeking information on a 17-year-old girl -- the incoming senior class president at Martin Luther King Jr. High School -- who has been missing from her home near Detroit's west side since early Saturday morning. Amber Wright was reported missing after her mother, Chere Harris, said she checked her daughter's room at 1 a.m. Saturday and Wright was not there. Harris said later that morning she found her daughter's purse in her car outside the house in the 12000 block of Cloverlawn and her cell phone on the ground nearby. "At this time there are no signs that she was abducted or is being held against her will," said James Tate, Detroit police spokesman. He said officers interviewed a man with whom Wright was seen Friday night and do not believe he is involved in her disappearance. On Tuesday evening, police said they were investigating a report that the girl was last seen at an east-side Quiznos restaurant around 3 p.m. Saturday. The restaurant released the video showing the girl standing in line behind two Detroit police officers at the counter of the restaurant on Mount Elliott. "I looked at (the video) closely and it's her," Harris said. "There's got to be a reason why she discarded everything and left. Something must be going on with her." Harris said her daughter is an A student and will be the senior class president at King High School in the fall. Wright was in drama and dancing at school and would sometimes go away for competitions but never without her family, Harris said. Harris said her daughter also modeled and dabbled in singing. Anyone with information is asked to call Detroit police at (313) 596-5340. You can reach Norman Sinclair at (313) 222-2034 or nsinclair@detnews.com. CREIGHTON WAS LAST SEEN BY HER MOTHER ON MARCH 21ST, 1997 IN THEIR HOMETOWN OF ORLANDO, FL. SHE WAS INITIALLY ABDUCTED BY HER NON-CUSTODIAL GRANDPARENTS, ERNEST S. JACKSON AND KAIA JACKSON, ALSO KNOWN AS ERNEST AND ABIOLA ANDERSON, IN MARCH 1997. THE JACKSONS MOVED FROM ORLANDO TO TULSA, OKLAHOMA IN AUGUST 1998, WITH THEIR FOUR CHILDREN. CREIGHTON'S GRANDPARENTS WERE ARRESTED FOR CHILD ABUSE CHARGES IN OCTOBER 2000 IN OKLAHOMA. THE CHARGES ARE RELATING TO THE ABUSE OF ONE OF THEIR SONS IN 1988 AND ARE NOT RELATED TO THE CREIGHTON'S CASE. BOTH ERNEST AND KAIA WERE CONVICTED OF THE CHARGES AND SENTENCED TO 12 TO 10 YEARS IN PRISON, RESPECTIVELY. THE JACKSONS' CHILDREN WERE LOCATED IN OKLAHOMA, BUT CREIGHTON WAS NOT WITH THEM AT THE TIME OF THEIR ARREST AND SHE HAS NOT BEEN SEEN AGAIN. HER WHEREABOUTS ARE UNKNOWN AND SHE IS CONSIDERED TO BE ENDANGERED. Here is info on a College Grad who has been missing since 5/29. Had I not been browsing Concrete Loop and reading about celebs I would have never known about this. In quiet, grief-stricken voices, family members of a girl missing since last weekend's Memorial Day celebrations made a public plea for any information regarding her whereabouts. Stepha Henry, 22, was last seen partying at Peppers Cafe, located on 3828 N. University Dr. in Fort Lauderdale, at 1 a.m. May 29. Steve and Sylvia Henry flew down this week from their home in New York to help search for their child. ''I'm going to stay in Florida until I find my daughter,'' Sylvia Henry said Wednesday, speaking at Miami-Dade police headquarters. As Miami-Dade homicide detectives joined the search, police said they would work around the clock to find her. Henry, a recent graduate of John Jay College of Criminal Justice, flew down from New York for Memorial Day weekend to celebrate her sister's 16th birthday. The Henry sisters had been staying with their aunt and cousin in Miami Gardens for the weekend and planned to fly home May 29. The night before she disappeared, Henry told her family she was getting a ride to Peppers from a friend. Her sister stayed home. A videotape taken by a promotional group at Peppers shows Henry at the club. But she never made it home. Calls placed to Henry's cell phone went straight to her voice mail. The petite woman was last seen wearing a black dress with a white tank top underneath and brown heels. She was carrying a brown clutch purse. Henry, who has long bronze hair, is 5'2'' and 110 pounds. ''It's been very hard. She is not the kind of girl to run off. If anyone has seen her, I am asking that you please come forward,'' Henry's mother said Wednesday. Emily Chin's family owns Peppers Cafe. ''No one at Peppers knows anything,'' said Emily Chin, whose family owns Peppers Cafe. ''I just hope that her mother finds her.'' Chin added that Peppers employees didn't know Henry was missing until they saw her story in the news. A vigil was held at Henry's college campus in New York Wednesday, the school said in a news release. Miami-Dade Detective Roy Rutland said police are looking for information regarding the driver of a dark-colored four-door Acura Integra, who picked Henry up at her aunt's house. Anyone with information can call Miami-Dade Det. Brigette Robert at 305-418-7200 or Miami-Dade Crime Stoppers at 305-471-8477. This blog was created due to an idea by another sister (ExpatJane) on http://www.nappturality.com . Too many times has a minority gone missing and the media has refused or neglected to inform the masses -- whereas if it were a missing white person (especially an attractive white woman), there would often be next day coverage. She had this wonderful idea, and I was going to post it on my other blog, but I felt that it needed a blog of it's own (another of her ideas). This blog will focus on missing minority women, men and children as we come across the news of their absences.